Android has always been about control, offering uncountable ways for users to enclose with their Smartphone experience to their preference, even in granular ways. Google’s new Android operating system has finally arrived. After months of developer testing, Android Pie or “P” has been rolled out to the public. Android Pie isn’t filled with any flashy new features, the changes to the operating system are all about making your Smartphone more reliable and smarter. It is out for Google’s own pixels phones. Android Pie focus is on combating digital addiction to a redesigned navigation scheme that relies on just one button to carry out an assortment of tasks. These are just some of the new features there many more to know, you probably want to know about the important ones. To know more about Android Pie read the full article and see the interesting and exciting features of Android Pie. So let’s get started with the most surprising one – Battery Life. 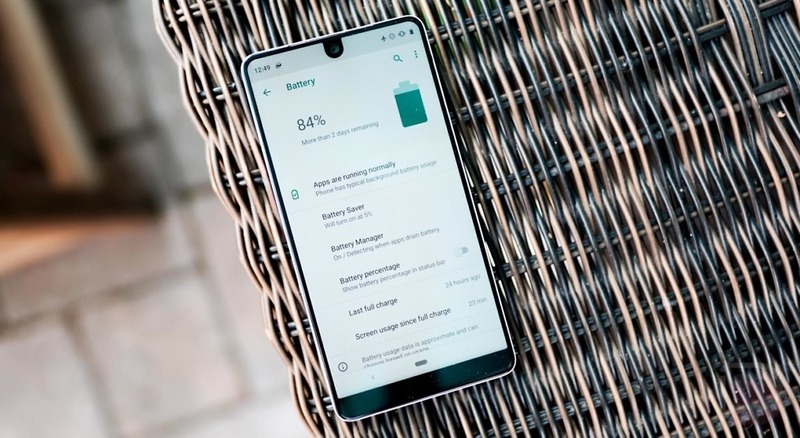 Android Pie has provided a pleasant surprise in the battery department. In New Adaptive Battery feature , which uses on-device machine learning to understand which apps you are likely to use in the next few hours and which apps you are not likely to use until later in the day or in the week. Using this information that remains completely private because it’s on-device machine learning, the Android system can adapt to your unique usage pattern and in practical tests at Google this resulted in a 30% reduction in CPU wake-ups, running more processes on the power efficient small CPU cores and overall big improvements in battery life. The next biggest change that users will be able to see is the removal of the good ole navigation bar. Instead of having three buttons to tap at the bottom, you are now greeted with a “pill”, which acts as the navigation for your device. In practice, this makes quite a bit of sense, other than the whole App Drawer debacle. You can do a slow drag to reveal the drawer, but having to swipe up twice to reach all of your apps is rather annoying. One extra feature that has been added is for those who make use of rotation lock. If you are using rotation lock but want to view one specific app in landscape mode, a new icon shows up in the navigation bar. This will allow users to view content how they want to, with just the tap of a button. Something else that you may notice when you start poking around Android Pie is some slightly redesigned panels. Most notably, there has been a slight redesign to the notification tray, as the toggles are a bit brighter and more vibrant. Additionally, since more devices are launching with notches, the clock has been moved from the right side to the left. This is done to help so that you can see all the necessary notifications, while still seeing the time. For some reason, Google has placed a limitation of three notches for Android OEM’s to be able to use with Android Pie. Hopefully, this doesn’t mean that Google knows something that we don’t and a phone is incoming with too many notches. Notifications for messages have also been slightly revamped, as there are new quick reply features. You may remember an app called “Reply” which surfaced earlier this year that added smart replies to your favorite messaging apps. This has been integrated into the system of Android 9 Pie, making it possible to quickly respond to your friends or family. The API has been also opened for developers, which hopefully means more apps will take advantage of this in the future. 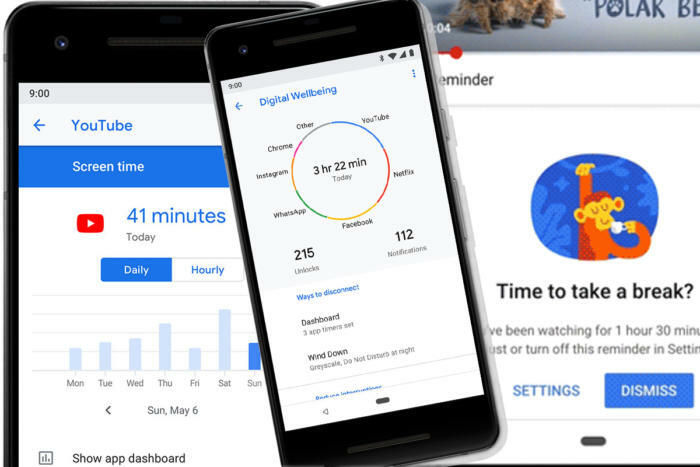 At Google I/O 2018, during the Android P introduction, a new feature/app was announced called Digital Wellbeing. Google stated that the purpose of this app was to help provide users with a way to see exactly how much you are using your phone. Not only you can now see that you are spending way too much time on Twitter, but you can also limit yourself. This is done with the help of App Timer, which is a setting that you set up for your “problematic” or “time-wasting” applications. As someone who has no penchant for restraint, app timers seems like something that could be really useful. It was also a bit alarming to see just how many times you unlocked your screen or how many notifications you received. Satisfy to say, Digital Wellbeing really has given you a different look at how you should be staying off your phone when you don’t need to be on it. Android pie is come with new and exciting features. It is now available for Google phones but soon it will be available for other phones. I thought if you use it you will surely love it and enjoyed all of the new features of it. Sure, gesture navigation may be annoying, but I feel that this is the way to full experience bezel-less devices. Google is making all of the right moves, and the Pixel 3 will be interesting to see how the latest version of Android works with the latest hardware. So, use Android Pie and share your experience with us. App limited by operating system.